East Coast is considered the most upmarket neighbourhood after prime District 9,10,11 and Downtown Core Marina Bay area. The Tanjong Rhu/Amber/Meyer area remains a top draw for homebuyers as it is considered the prime private residential area within District 15 for its close proximity to CBD (about 10 min drive) as well as East Coast park, the most popular lifestyle beach in Singapore. Top local and international schools are plenty in the area, making it an ideal place to raise a family. Tanjong Rhu has be gaining popularity in recent years with the opening of Sports Hub, which brought along a whole range of new dining, shopping and entertaining activities. The entry price is also relatively cheaper than Amber and Meyer area. 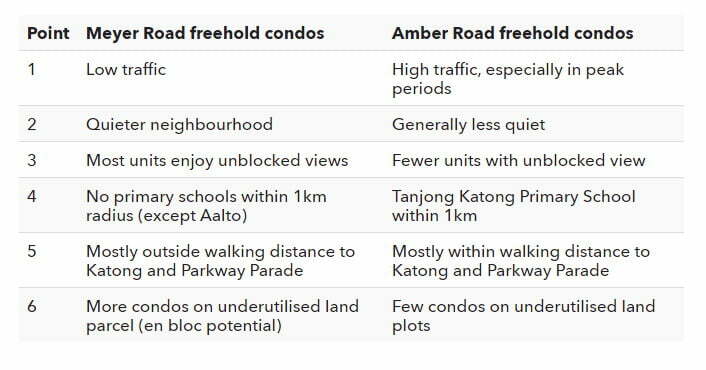 However, if it’s not because of the price, buyers will still prefer the Amber/Meyer Road as they are viewed as more prestigious, and for the simple reason that most of the private condominiums there tend to be freehold, whereas Tanjong Rhu has mainly 99-year leasehold condos. 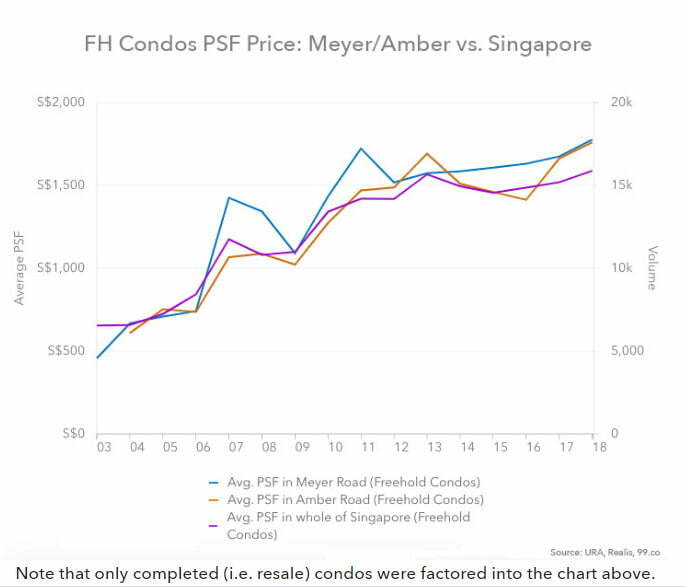 In particular, freehold condos along Amber and Meyer Road have also seen their value rise significantly and beyond national average, showing these areas are attaining upmarket status. Amber road condos are surrounded by a lot more amenities as it’s near to Parkway Parade and Katong, a foodie's paradise. The trade-off is heavier traffic and higher noise levels. In terms of elite schools, Amber road is closer to primary schools such as Tao Nan and Tanjong Katong, whereas Meyer is nearer to two reputable secondary schools, Dunman High School and Chung Cheng High (Main). And with the opening of Thomson-East coast MRT line in 2023, locations along Tanjong Rhu/Meyer/Amber road will be enhanced with faster commute to both CBD and Changi airport. Properties within 400m to the new stations could see improved rentability and resale value by then. 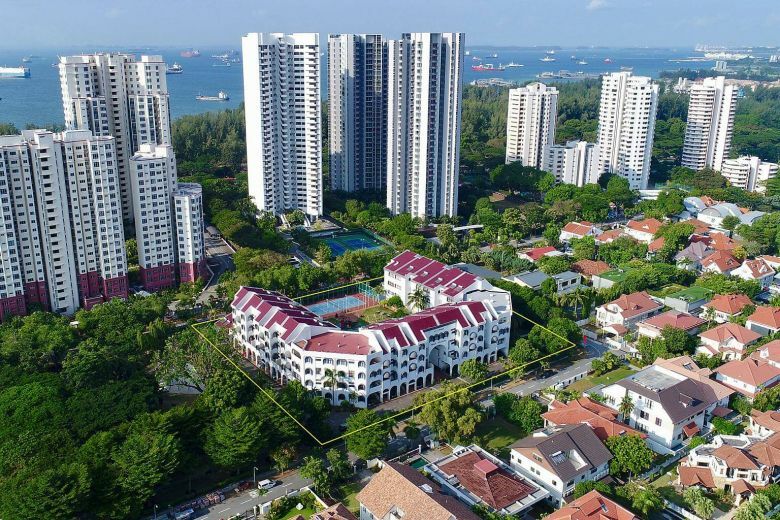 Thanks to the recent wave of en bloc fever, big developers have been snapping up a few prime lands, the area will be rejuvenated with new land marks in the years to come. With many upcoming launches, developers will compete by differentiating their product. Last year, Amber 45, along Amber Road, was launched in May. The 139-unit, freehold development by UOL Group consists of two to four-bedroom units with sizes from 614 to 1,798 sq ft. Amazingly though, not on a very large land, it’s the only condo provides both 50m lap pool and a tennis court among all recent launches. 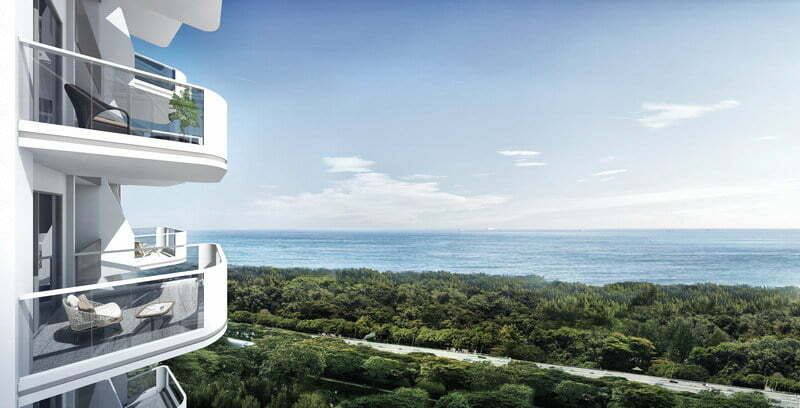 In the neighbourhood, Aurum Land’s Nyon marks the first new launch this year. The 92-unit development occupies a 28,409 sq ft, freehold site. Nyon’s design is inspired by elements of Peranakan heritage, befitting its location in Katong. Selected 3 bedroom units boast 6m high ceilings in living/dining area. For people who are looking for high yield dual key design, this is the only place you could look for. One Meyer, a 66-unit development by Sustained Land was launched in Mar. The condo comprises a mix of two- and three-bedroom units, ranging from 614 to 1,033 sq ft, sitting graciously right behind Katong park. Coming up next, by the same developer is Coastline Residences, the 144 units consists of one to three bedrooms. One interesting feature about this development is there’s sky promenade at all levels linking neighbor units from 2 towers. There’s also a sky terrace on the rooftop with infinity pool, dining and lounge area, a great place to hold party or simply enjoy the spectacular views. Both developments offer the best of the un-obstructed sea view yet with a good distance away from ECP highway noise. Condos such as Amber 45, Nyon, One Meyer and Coastline Residences will appeal to buyers who prefer more private and exclusive developments as opposed to big condo with more than 200 units. People who favors big compound with more comprehensive facilities, should not miss Amber Park by CDL, arguably the largest freehold new launch in the East Coast. Amber Park sits on rare land size of 213,675sqf with three distinctive towers offering 592 units and a wide selection of one to five bedroom and 4 exquisite penthouses. A signature feature of Amber Park is the Stratosphere – 235 feet above sea level rooftop recreational deck. Exclusive residential services are also available to tap on CDL’s hospitality expertise. Meyerhouse, former Nanak Mansion, will be redeveloped into a “Nassim Residences of the East” given “its rare location right next to a park”, says the winning developer UOL Group. 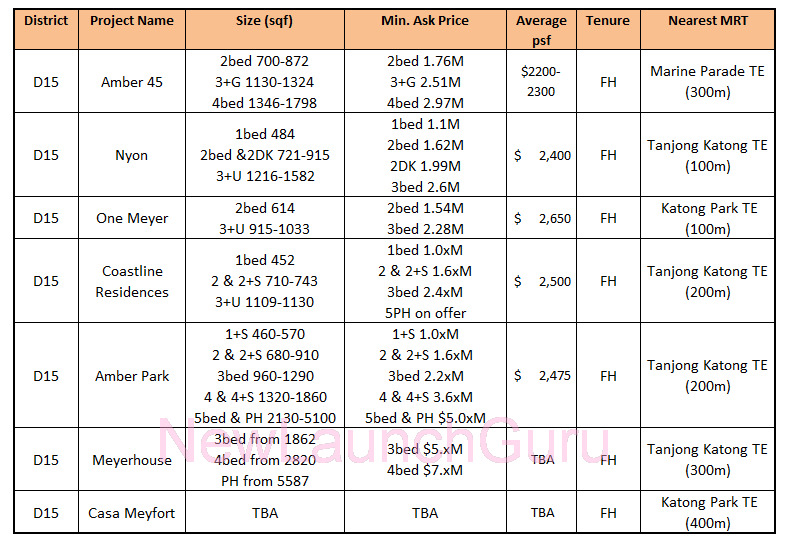 With only 56 large-format exclusive units with 3-bedroom to Penthouse ranging from 1862sqf to 5587sqf, it’s going to set a new first for Singapore’s Luxury segment. All above Condos will enjoy proximity to the upcoming Thosmson East Coast line MRT stations (within 400m). My personal preference is Coastline Residences, as I like both its architecture and unit layout designs. Thank you for spending time on this post. What do you think? 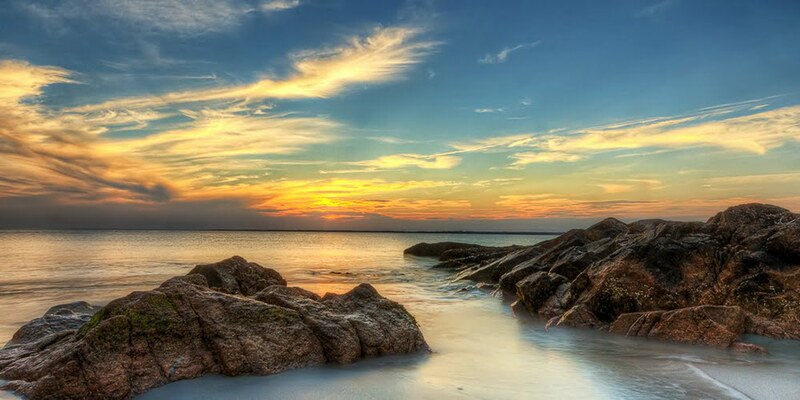 If you are interested in any of the new launches in East Coast, please feel free to contact me.